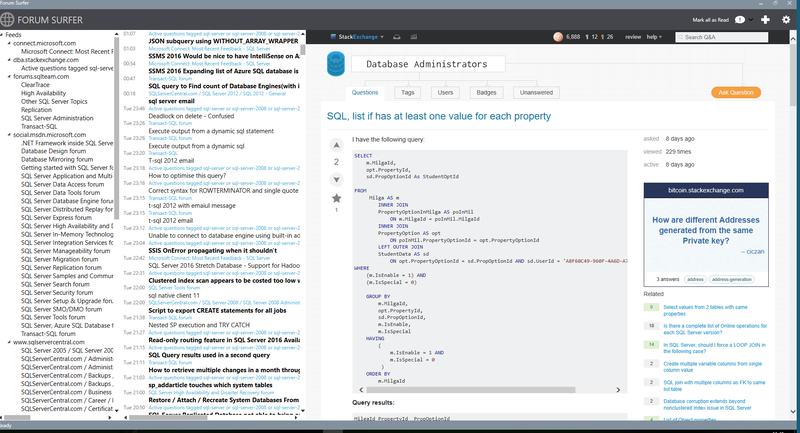 Today I published the first release of ForumSurfer, a RSS reader designed explicitly to be a tool for the SQL Server online community. What are you waiting for? Download now the latest release of ForumSurfer and start being helpful! Did you find any issues? Report them or ping me on Twitter! One of the most popular posts on this bog describes how to enable bitmap scaling is SSMS on high DPI displays, which is a sign that more and more people are starting to use 4K displays and are unhappy with SSMS’s behaviour at high DPI. The solution described in that post is to enable bitmap scaling, which renders graphic objects correctly, at the price of some blurriness. 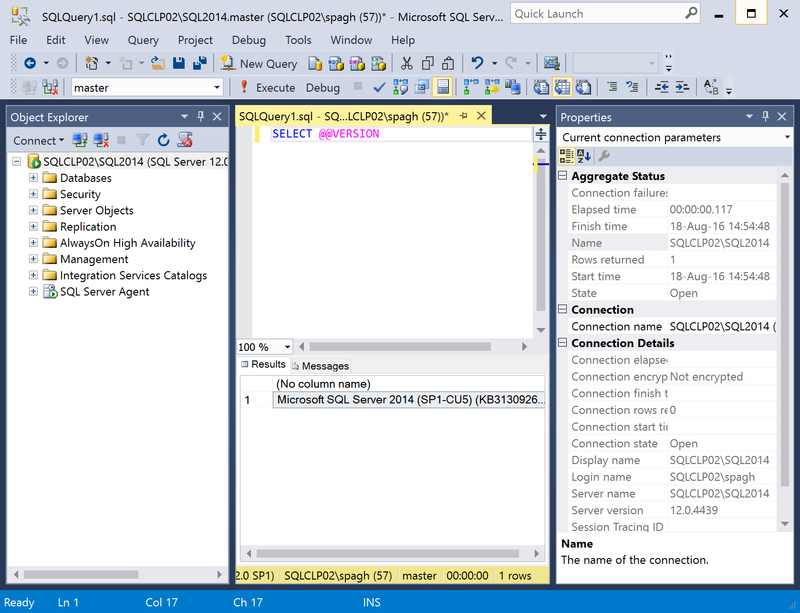 The good news is that starting with SSMS 16.3 high DPI displays are finally first class citizens and SSMS does its best to scale objects properly. 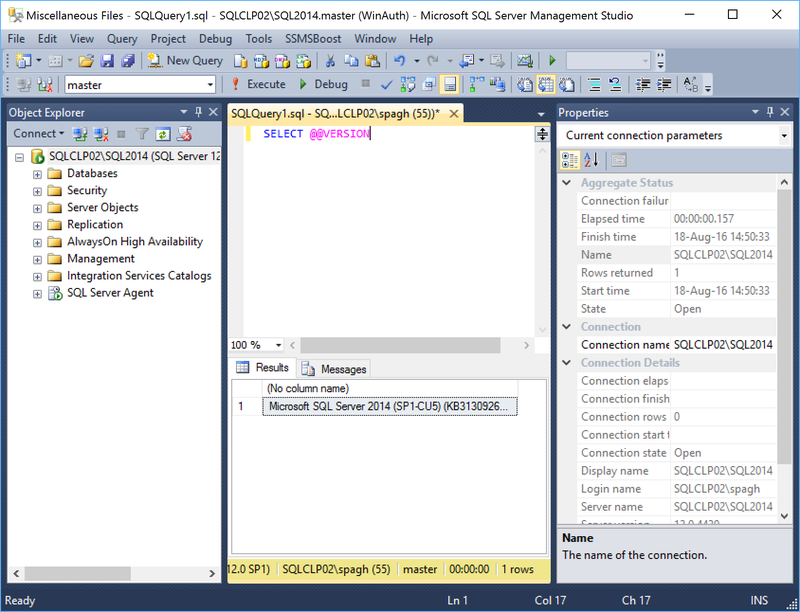 By default, SSMS will keep using bitmap scaling: in order to enable DPI scaling you will have to use a manifest file. This is a huge improvement over the bitmap scaling solution we had to use up to now: no more blurriness and proper fonts are used in SSMS. As you can see, it’s not perfect yet (for instance, I had to change the grid font size to 9pt. in order to have readable fonts). Now that your favourite tool is working in high DPI displays, nothing is holding you back from buying one of those fancy 4K laptops!